Contact & Mailing: They will answer all your questions in perfectly good English and with all the information you may need. In case you find the need to contact them directly, you can do so through their website, where you can find a direct contact form. They will answer immediately, seeing as it works in chat form. You might, for example, ask to track down your package or any other doubt you may have. 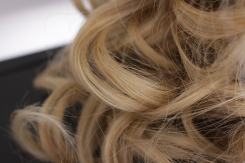 Overall quality and colour: The lace wig’s quality is far superior to the price, it’s made up of several shades of blonde, blended together into a beautiful colour. 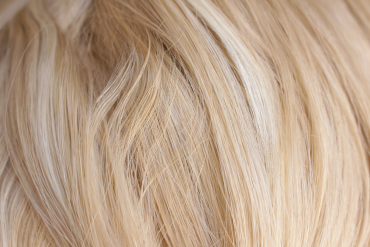 The fibers appear natural even under direct sunlight, and the tangling that happens from prolonged wear can be brushed off with your fingers – yes, just your fingers – but if you do find yourself in need of using a brush, use a wig comb with some de-tangling product. This will help keep the curls together and avoid unnecessary pulling of said gorgeous fibers. The colour is true to the reference, same style, it came exactly as described and I couldn’t be happier. 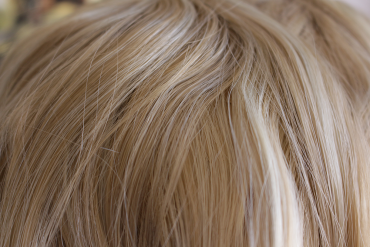 The images on their listing were of this exact wig, they tell you about every aspect of it and show it at different angles – although I must say, the wig is even prettier than the images on the website – . 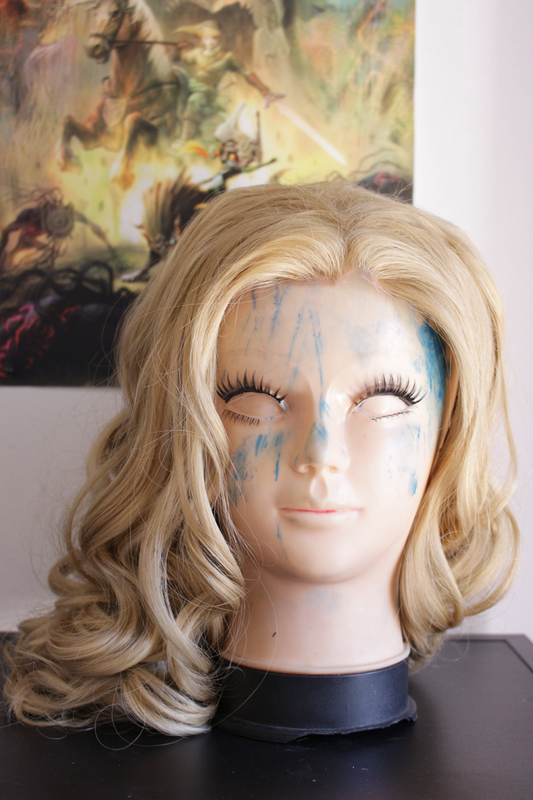 Unlike traditional wigs (with no lace) these require a few extra cares and attention. A lace-front, in most cases, will not be as thick as other wigs, unless you are paying big bucks. In addition, this is also a curly wig, a style that due to the undulation of the synthetic hair may leaves open patches of wefts showing through. 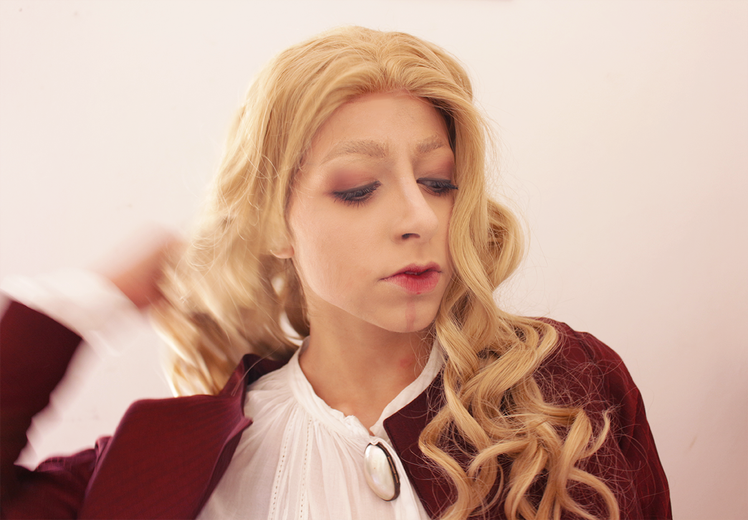 I did not have that problem, since I always fluff the wig and comb the curls…but if you do not, be careful so none of the wefts are showing – and this happens with a lot of curly wigs, not just lace-fronts like this – . My only advice to the company would be to make the lace fuller, meaning, more lace hair at the front so people like me – with strange hairlines – can easily fit them without much stress. 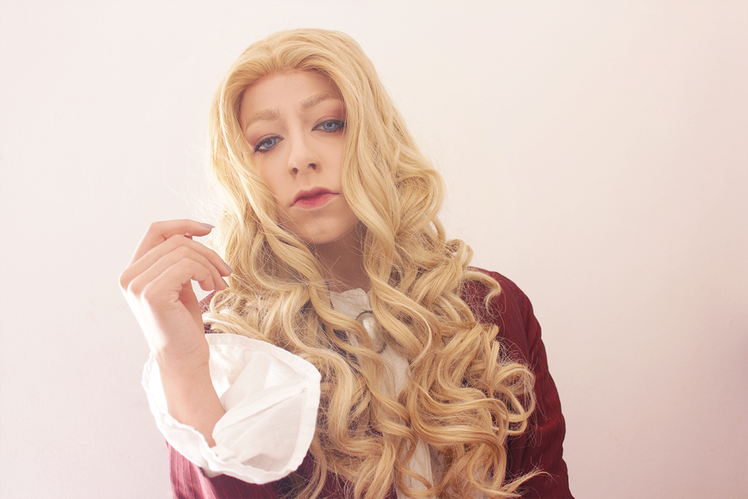 Also a small warning, if you have a larger head this wig might not fit like you wish it would, due to the lace that goes all the way to the temples. 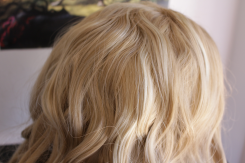 If you are used to compensate by bringing the wigs back a bit, it will not work with these lace wigs since your natural hair will start peeking though – and this is true for every lace wig that goes from ear to ear, so always check the measurements of the wig cap! – . 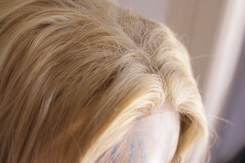 These are all photos of the wig under natural lighting, at around 11AM. 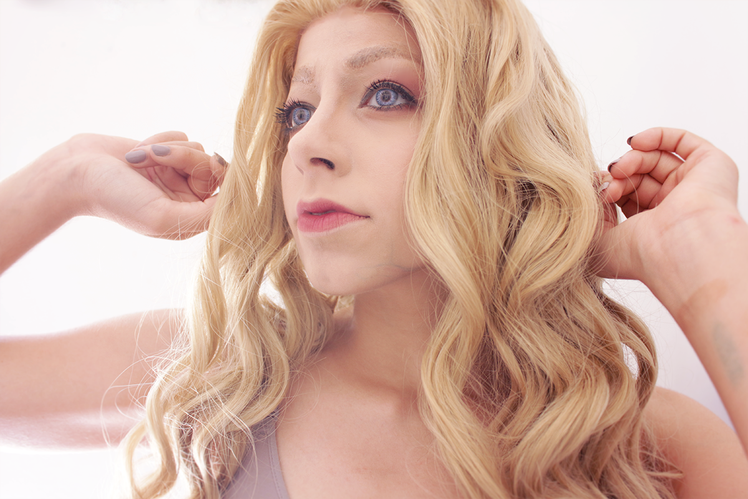 This entry was posted in Buy Cosplay Wigs, Fashion Wigs, Human Hair Wigs, L-email Wig review, Synthetic Lace Wig, Wig Maintenance and Care, Wigs, Wigs Hairstyle Selections and tagged 65cm Dark Brown Wig, anime cosplay wig, anime wigs, cosplay wigs, fashion wig, lace front wigs, lace wigs, Lemail wigs, long wave wigs.